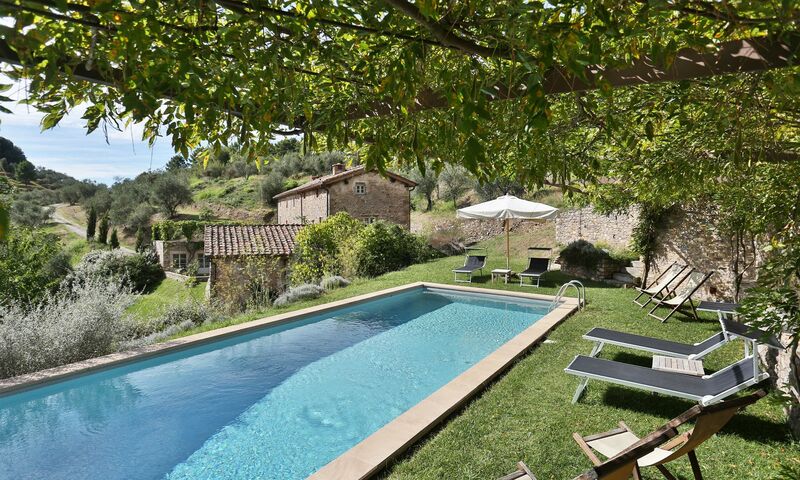 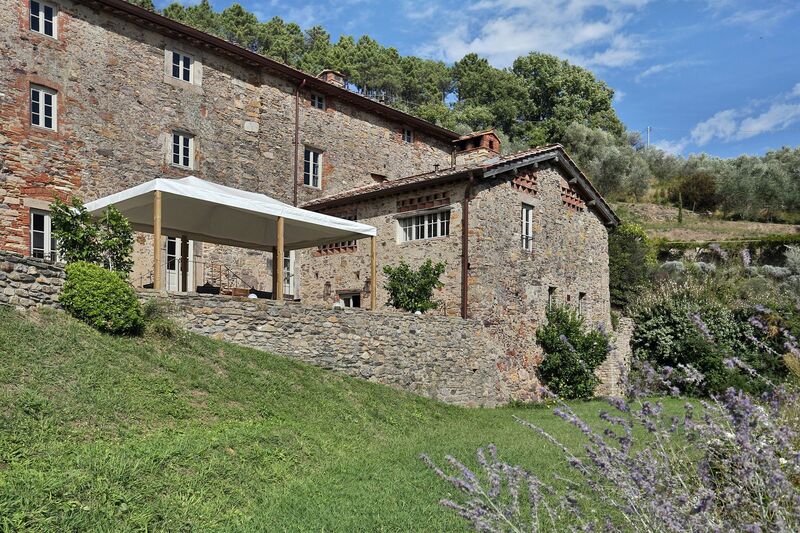 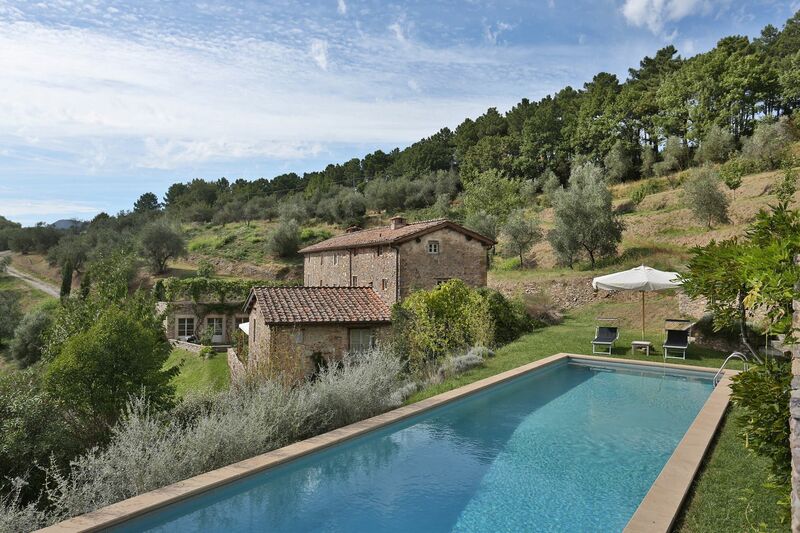 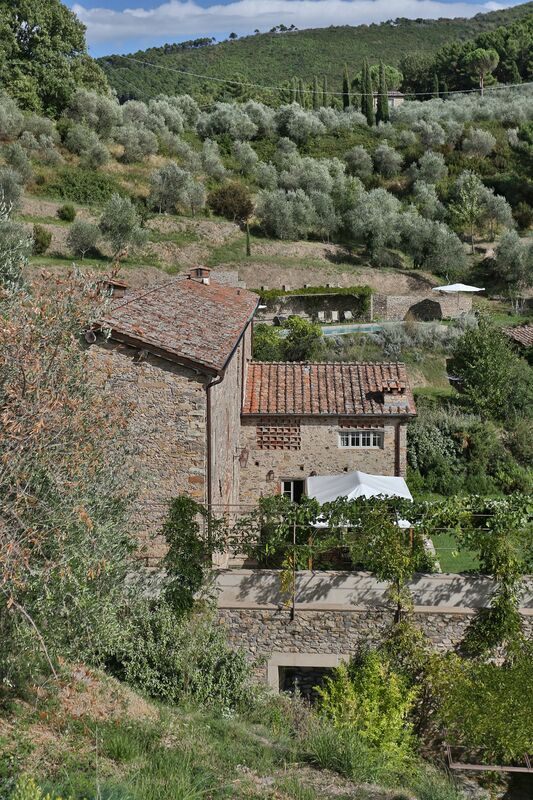 Chiodo is a stunning stone-built villa with private swimming pool set in an extremely panoramic position in the hills between Lucca and Pisa. 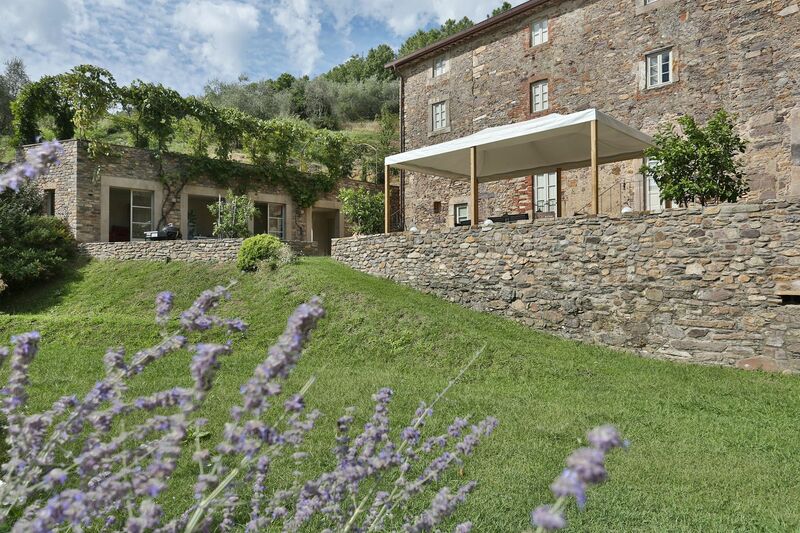 It is located close by the village of Vorno (1,5 km) where guests can have easy access to shops and restaurants. 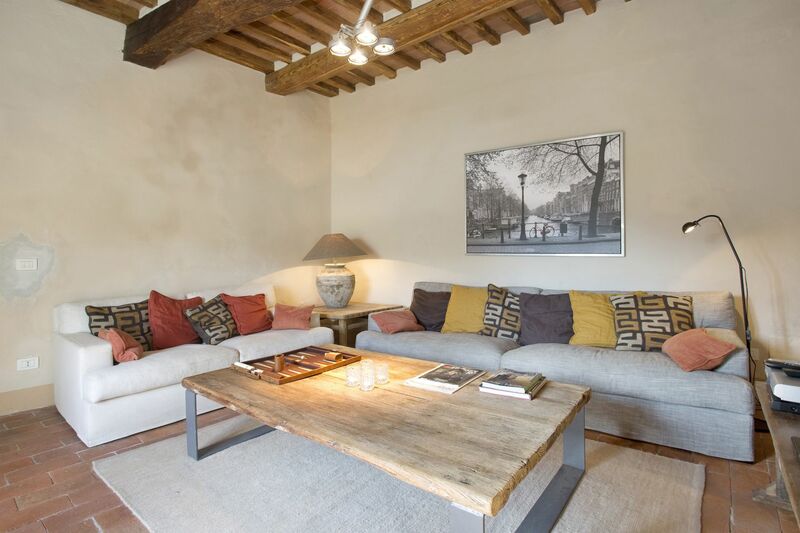 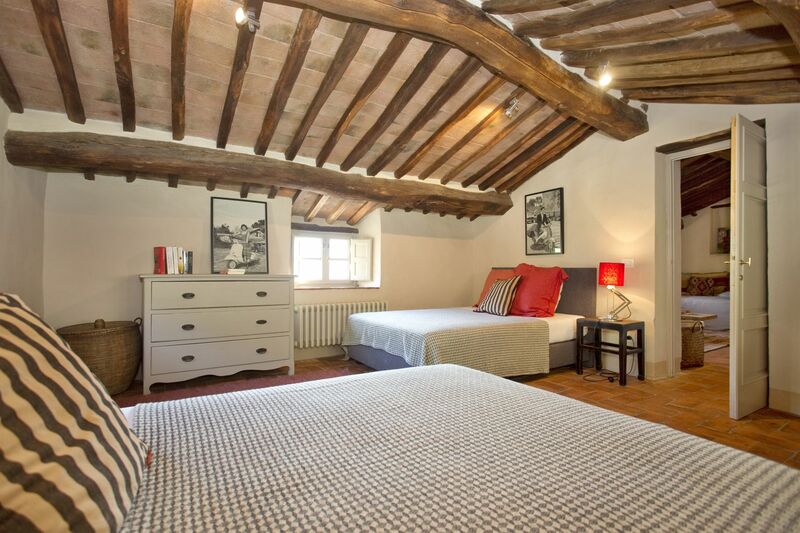 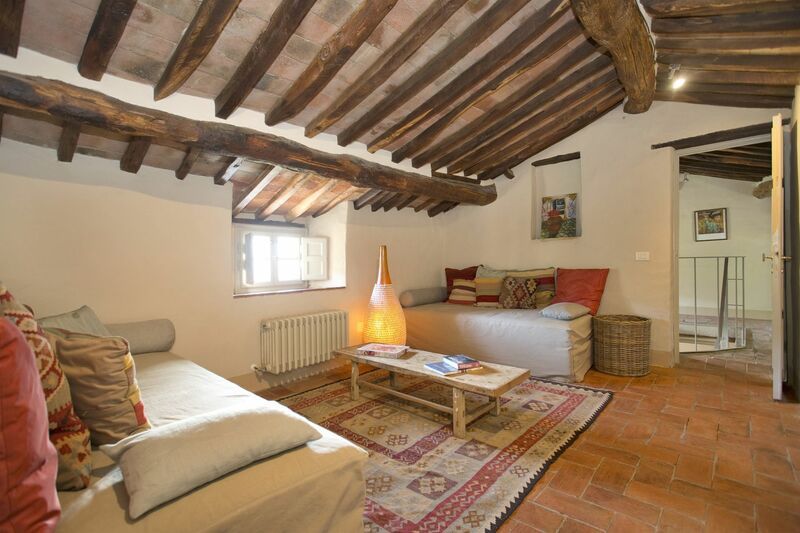 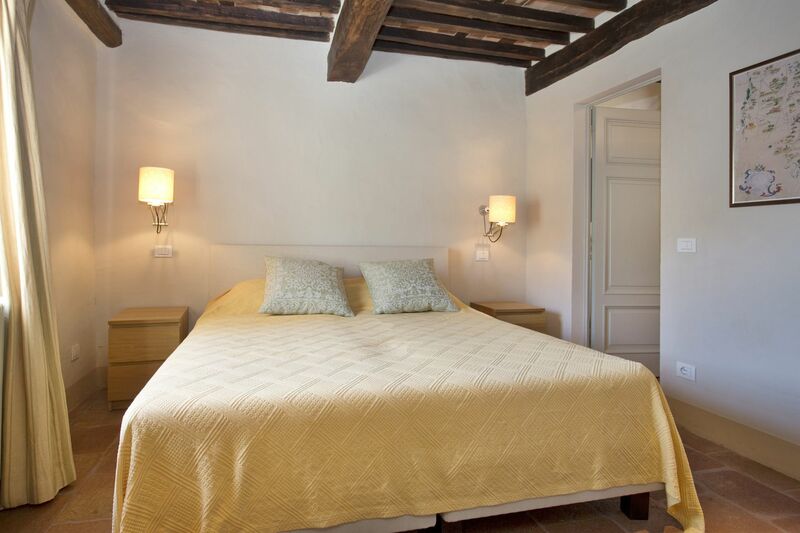 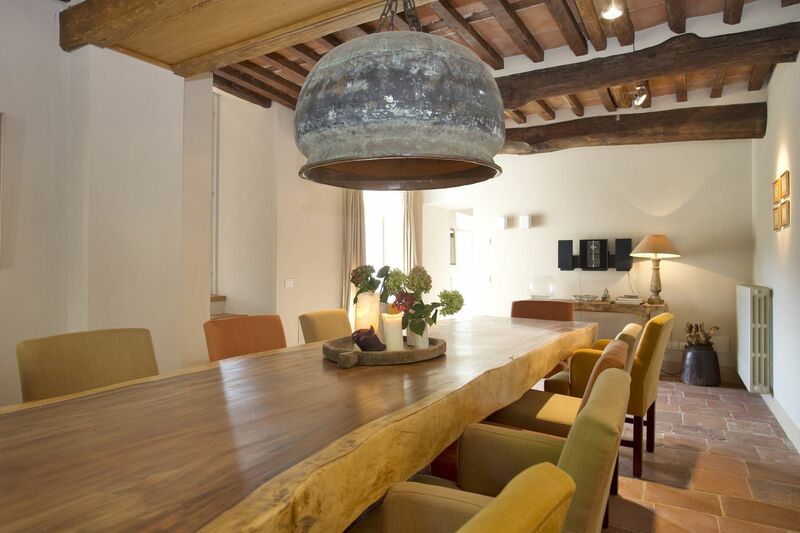 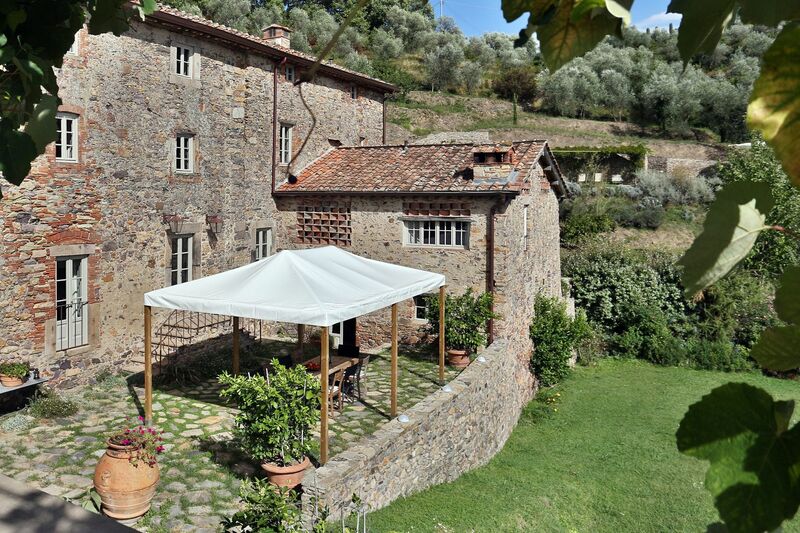 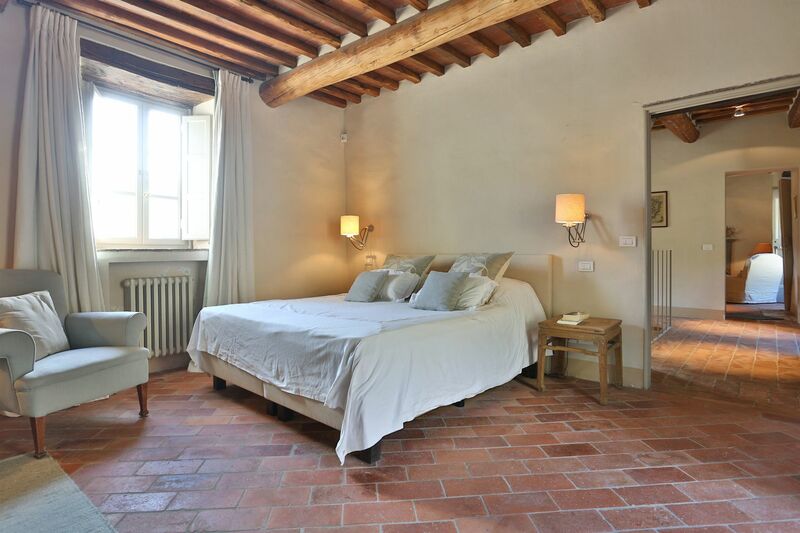 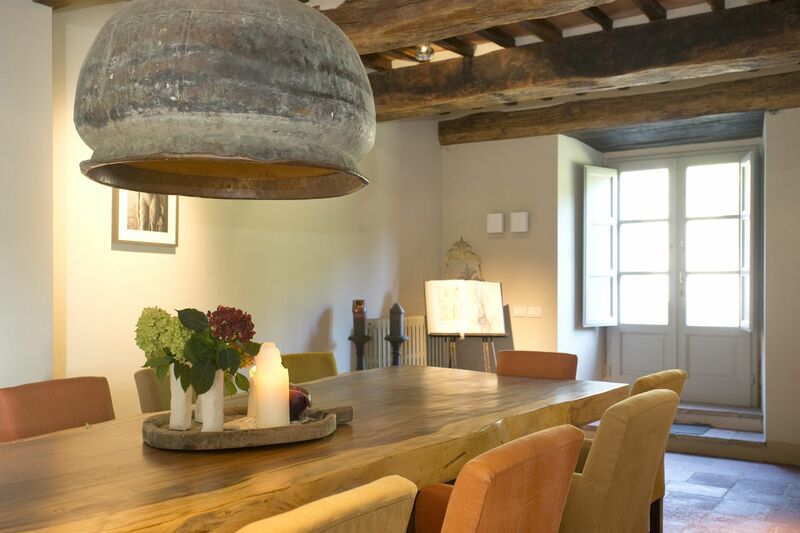 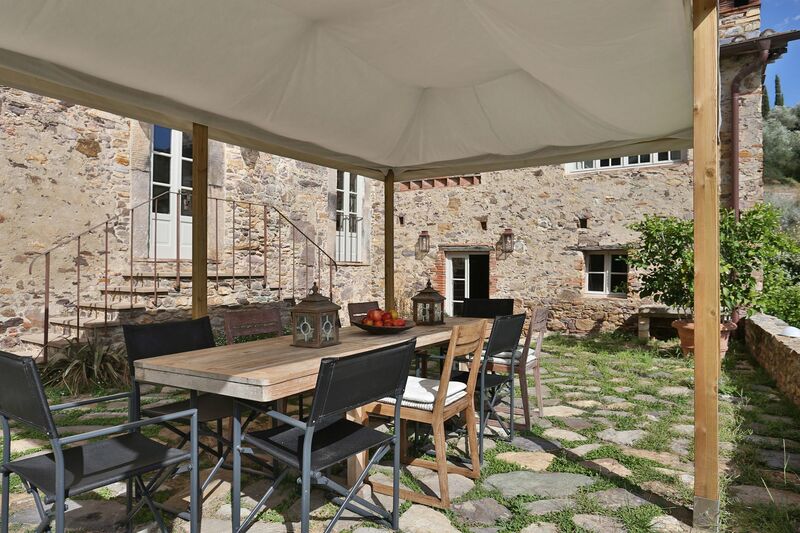 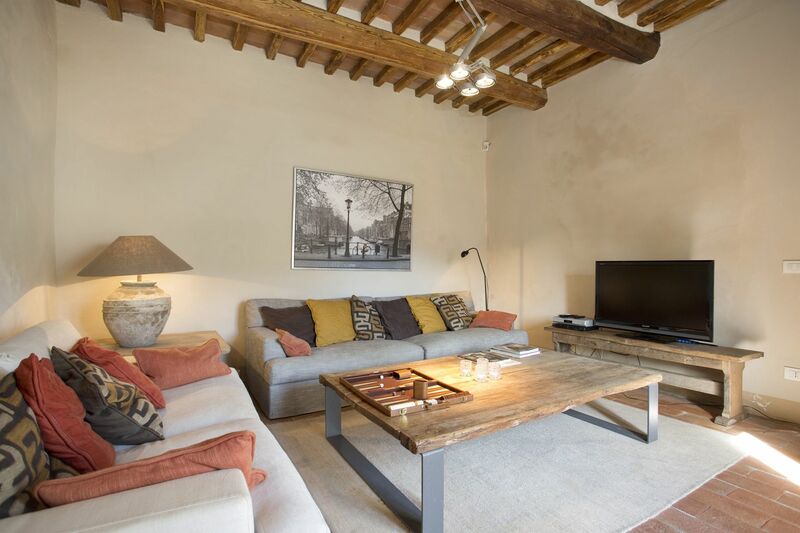 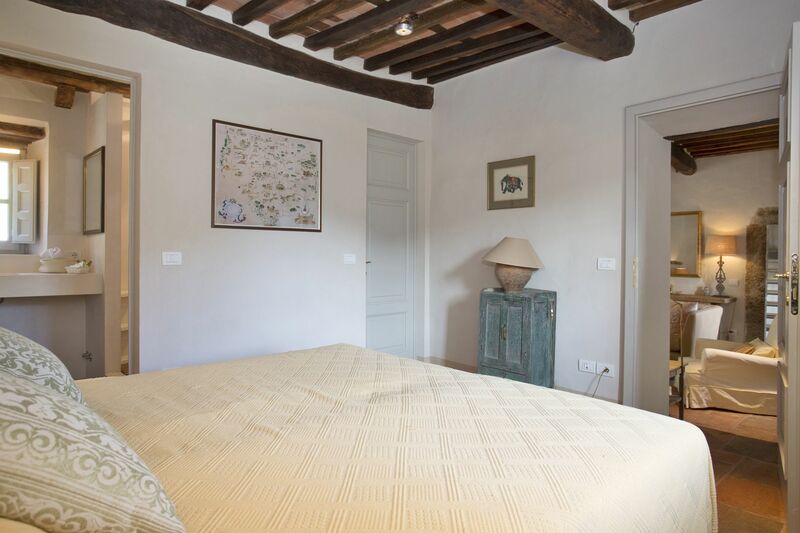 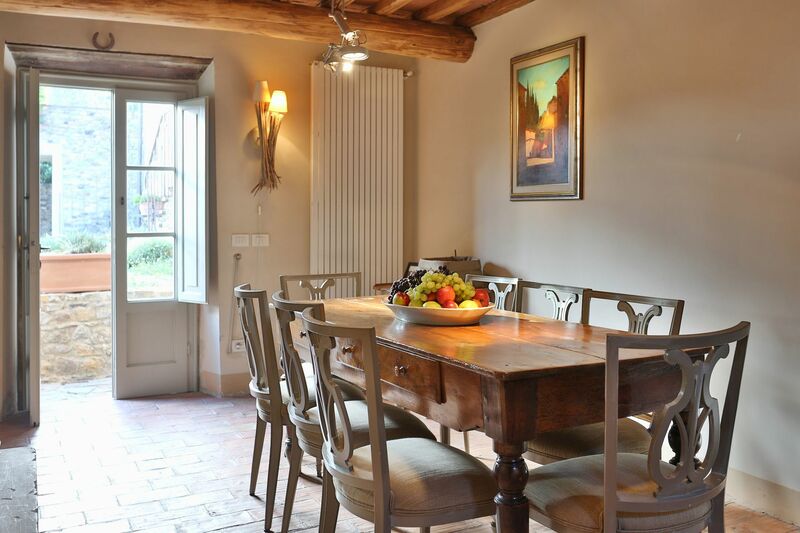 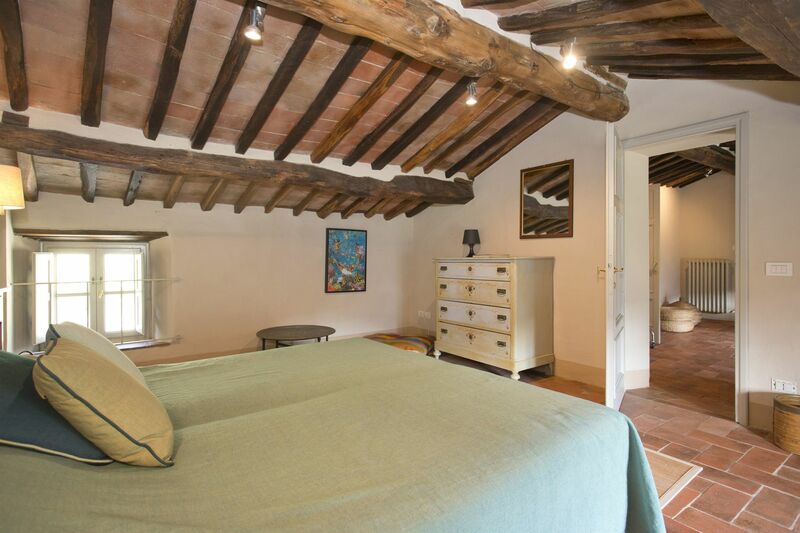 The location conveniently combines the city facilities - due to its proximity to Lucca (10 km away) - together with the quiet setting of the countryside full of olive groves. 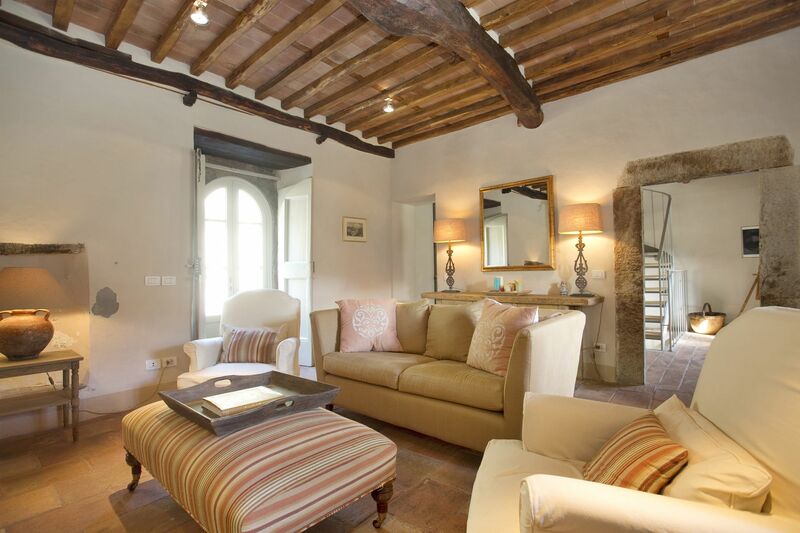 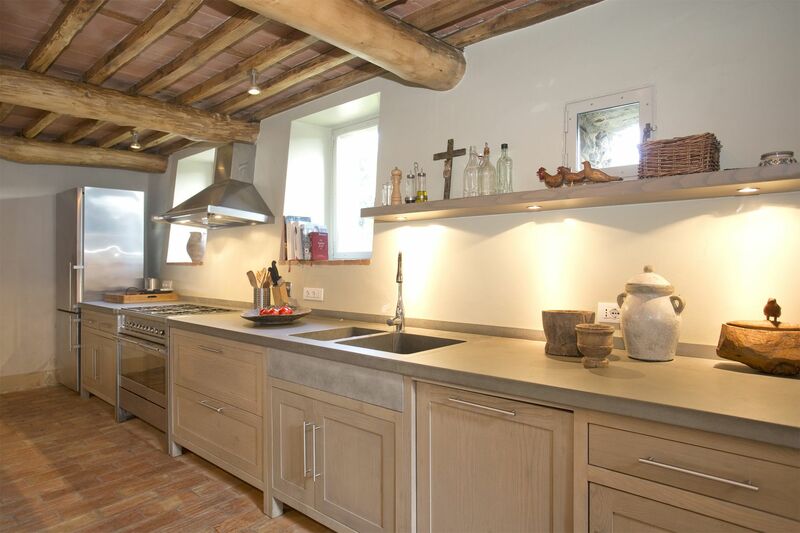 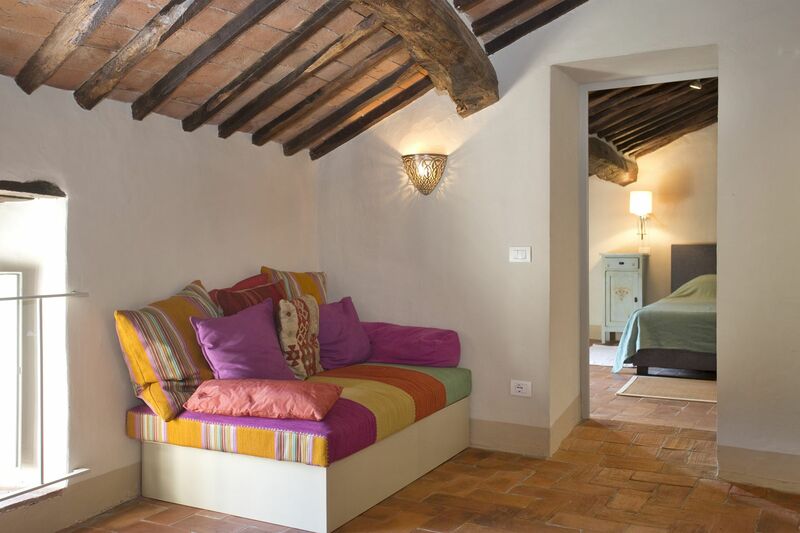 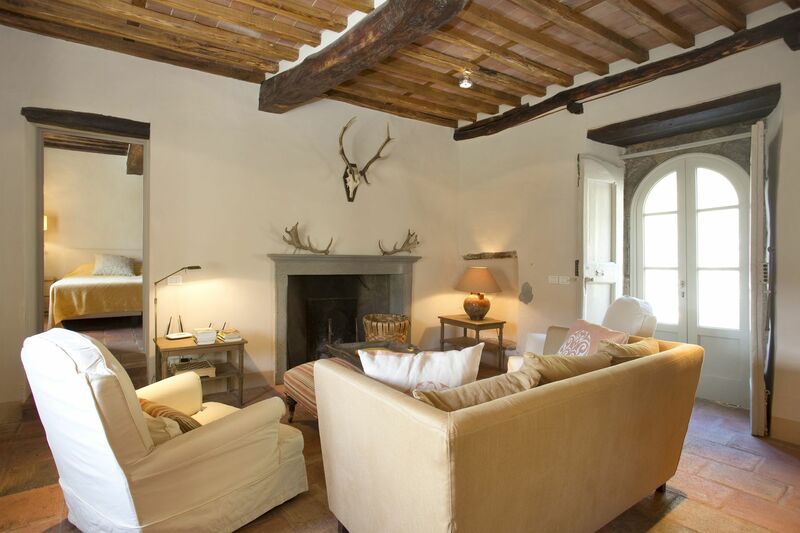 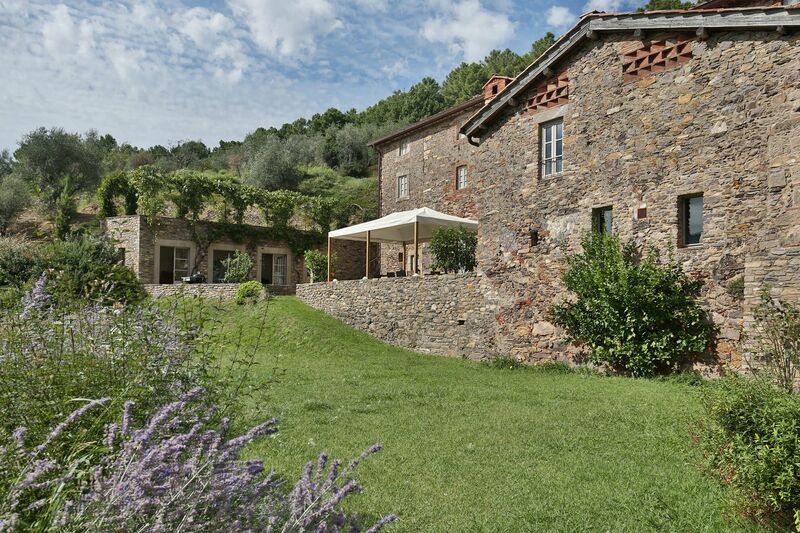 The house has been recently restored blending the traditional characteristic of a Tuscan farmhouse together with modern design and comforts. 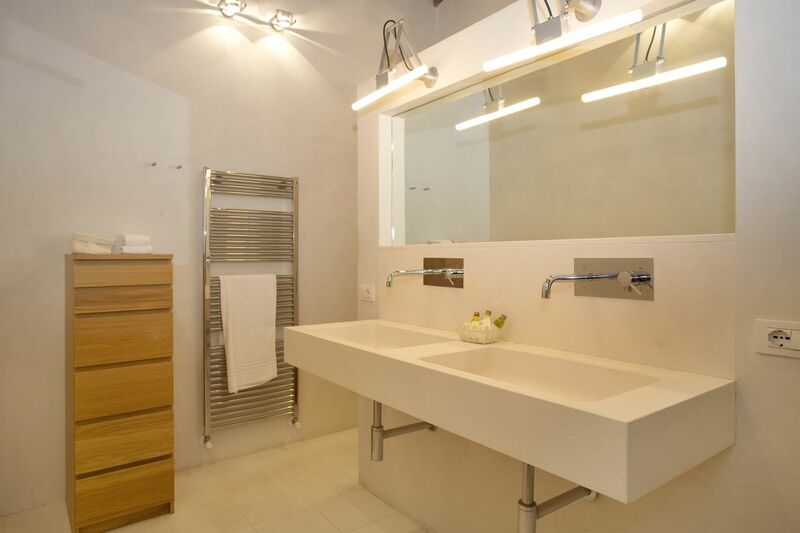 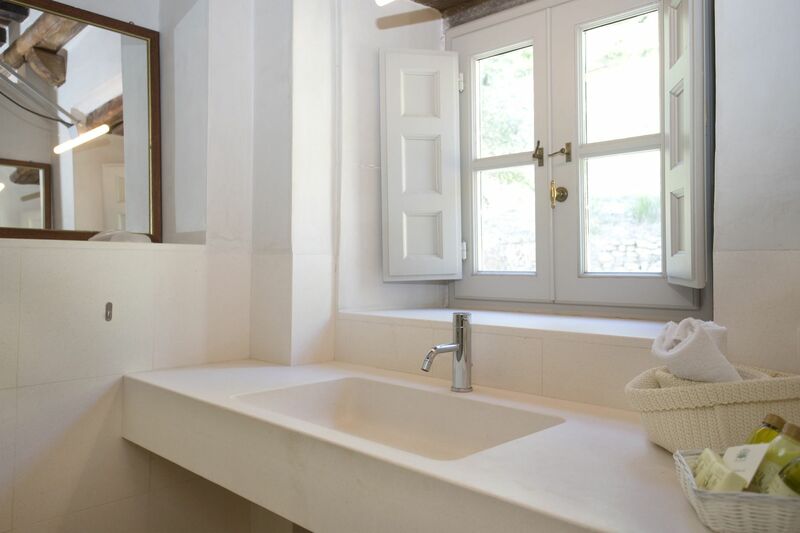 The interiors have been furnished at a very high standard, the kitchen is well-equipped and every bedroom has its own private bathroom. 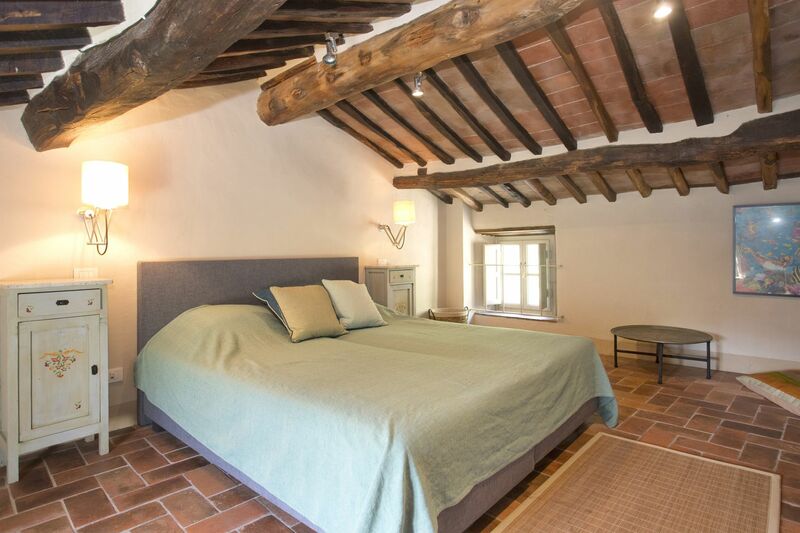 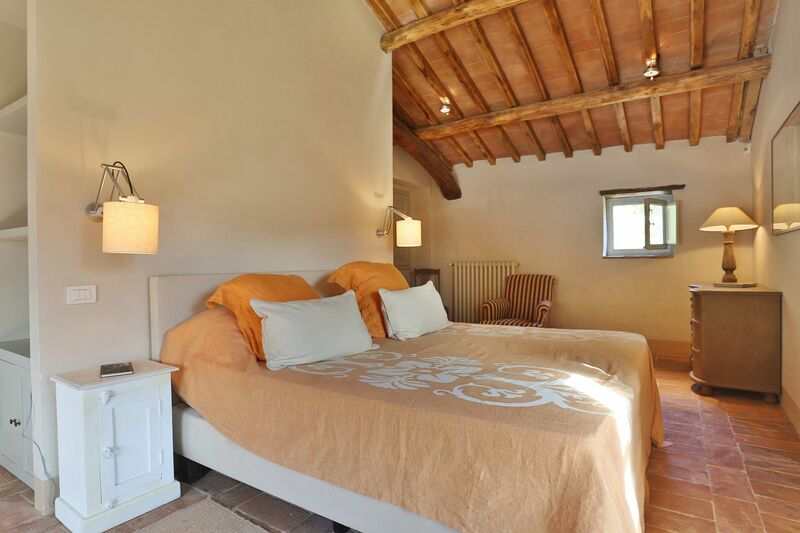 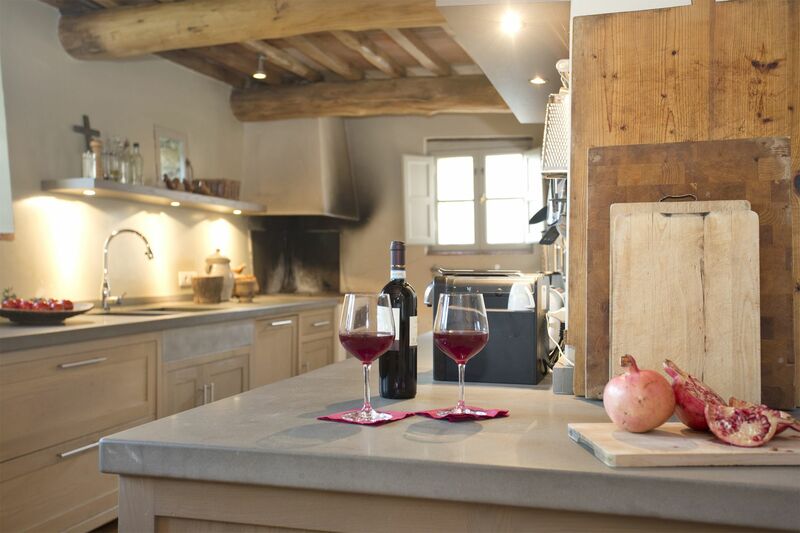 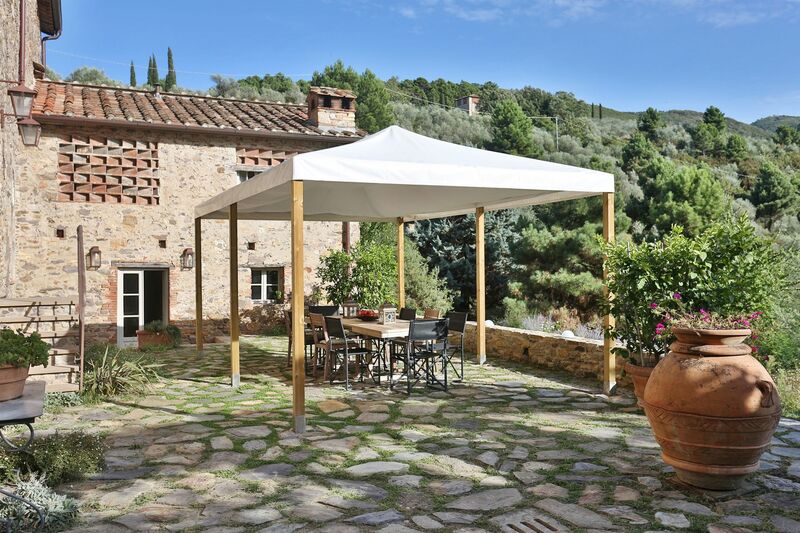 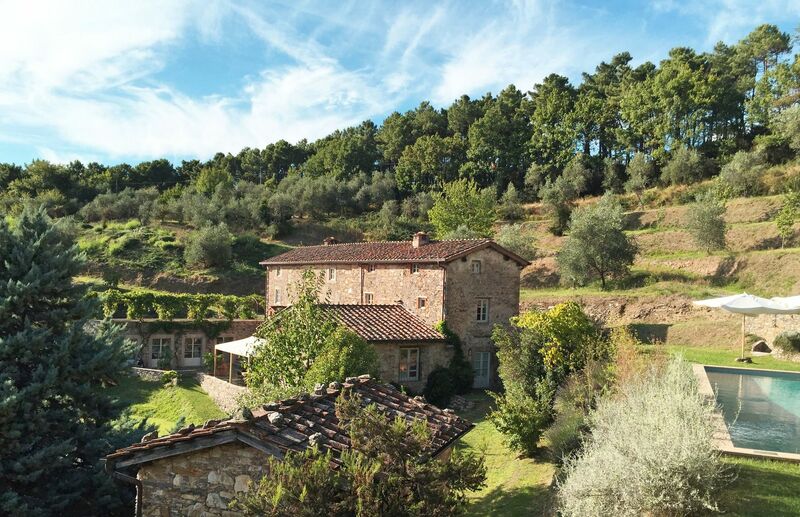 The owners have been tenants themselves in Tuscany for many years and have equipped the villa with all the appliances and facilities they were expecting in a rental property, including an efficient internet connection system. 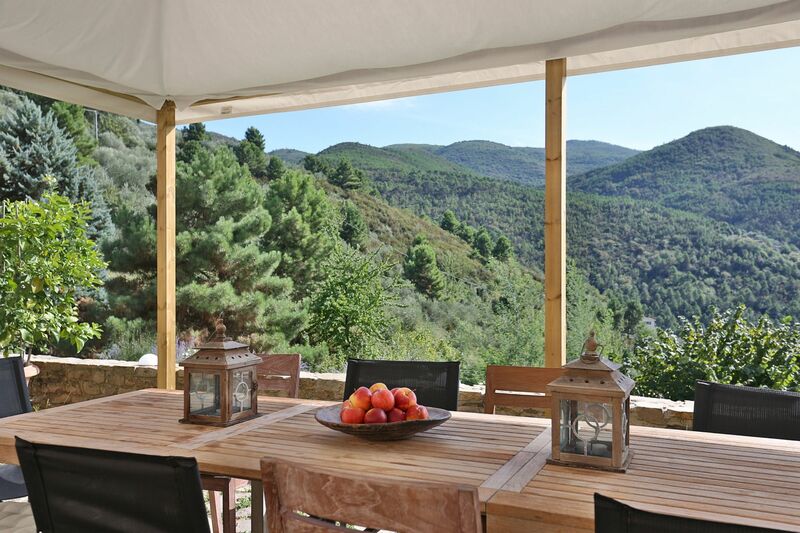 On the front garden there is a large dining table covered by a pergola to enjoy al-fresco meals while overlooking on the valley below. 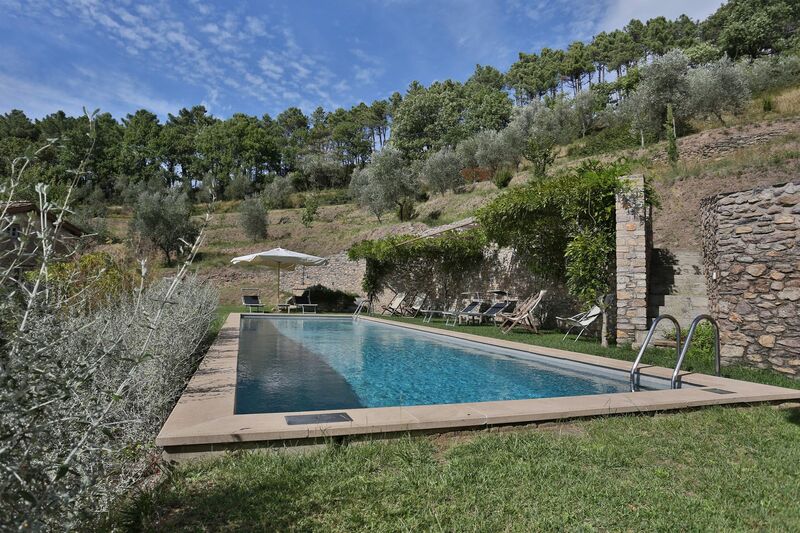 The grounds are well- kept and new beautiful pool is set in the most panoramic position of the estate. 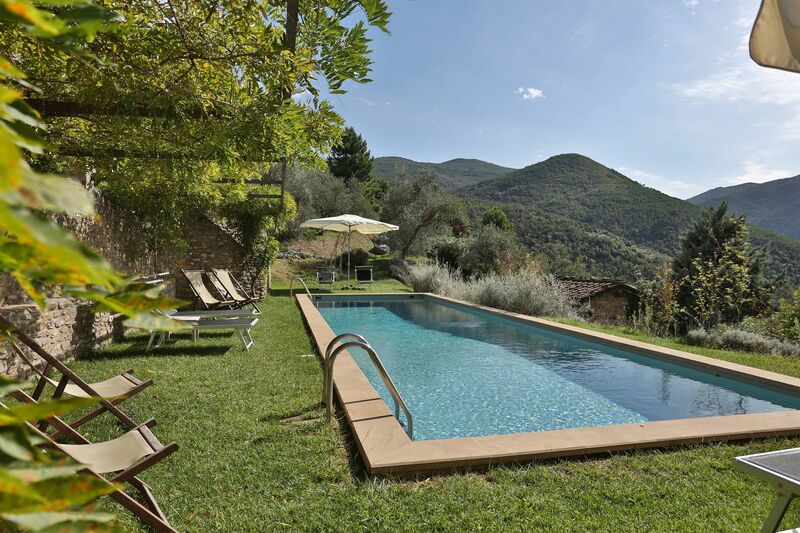 Furthermore the swimming pool has an ozone system allowing to avoid chlorine. 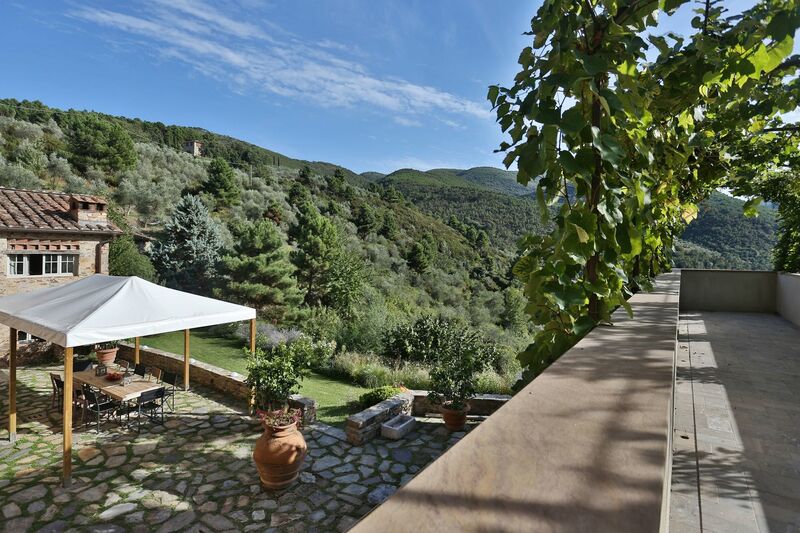 The location of this villa is ideal for sightseeing as it is very close by the city of Lucca and Pisa (25km away) as well as the Versilia coast with its many beach resort and a short drive away from Florence (74 km away) and many of the surrounding wine estates. 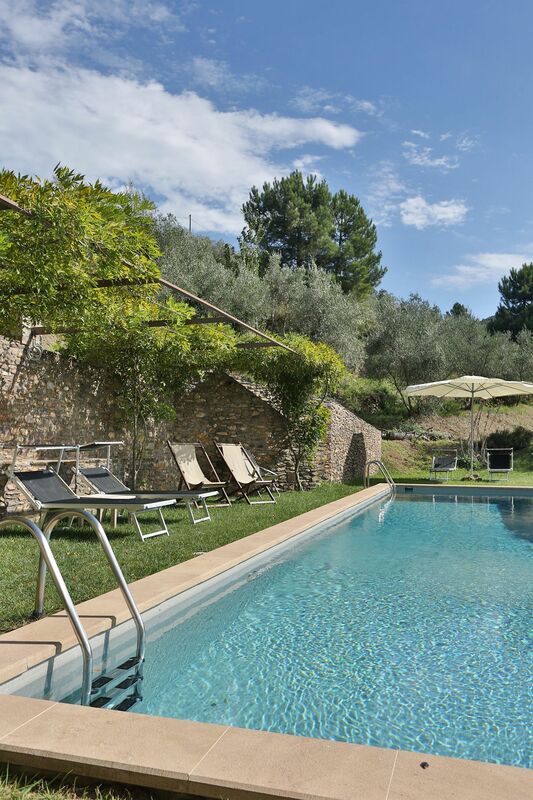 For the sportier travellers, a tennis court is just 4km away from Chiodo. 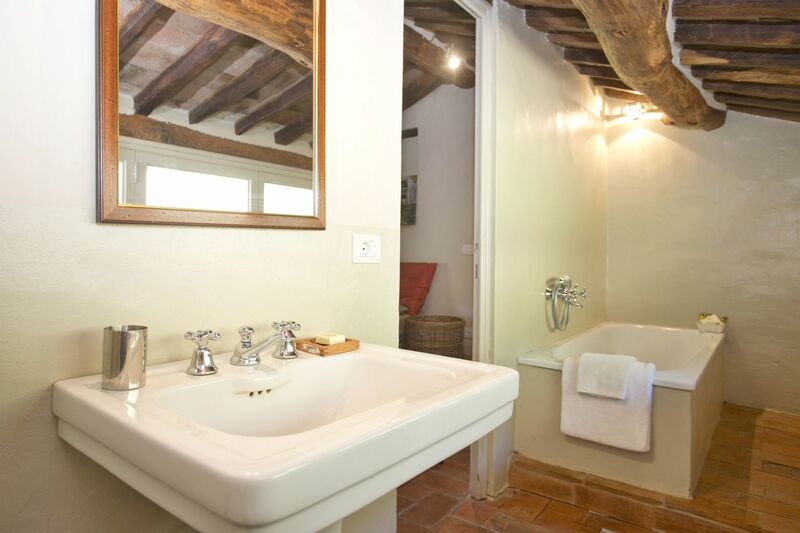 Entrance, TV room, dining room, guest bathroom, laundry. 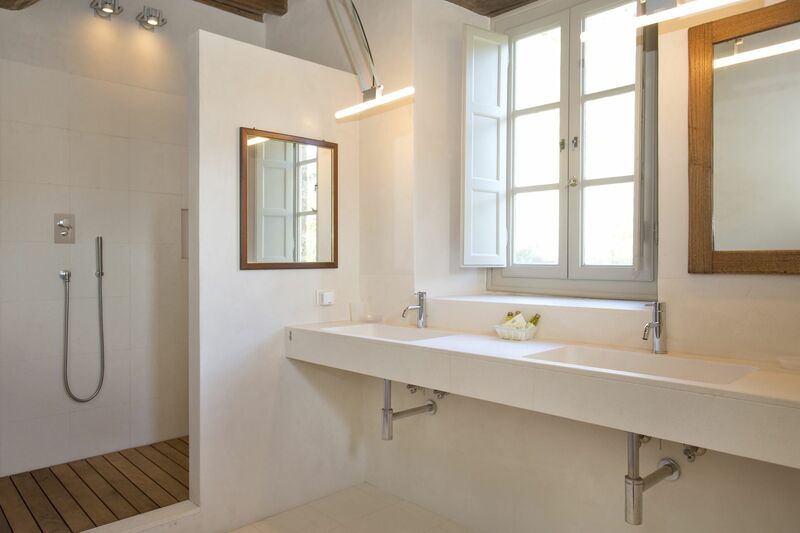 A few steps up: double bedroom with en-suite bathroom (shower) walk-in closet. 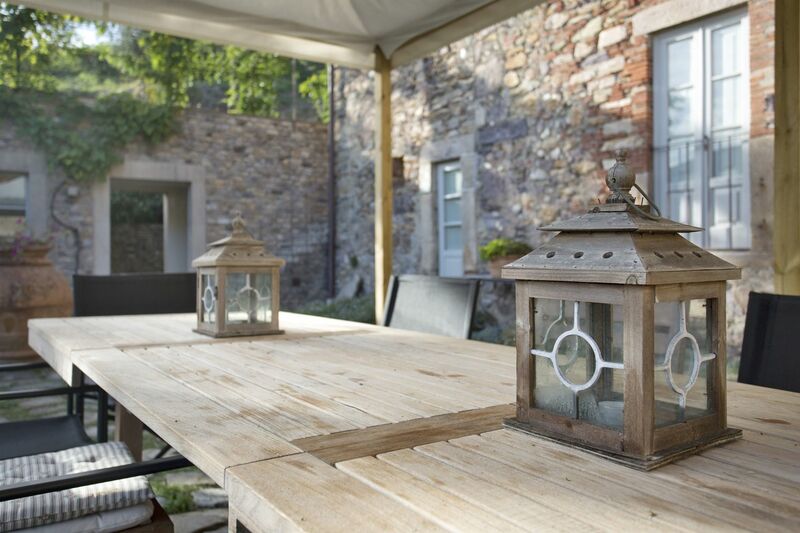 Kitchen opening on to the courtyard /garden furnished for outdoor meals. 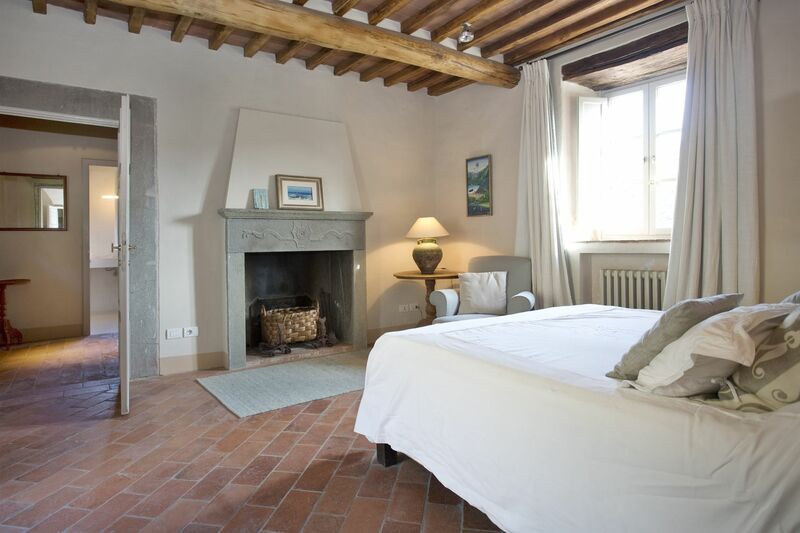 Sitting room; double bedroom with en-suite bathroom (shower); master bedroom with en-suite bathroom (bath and separate shower). 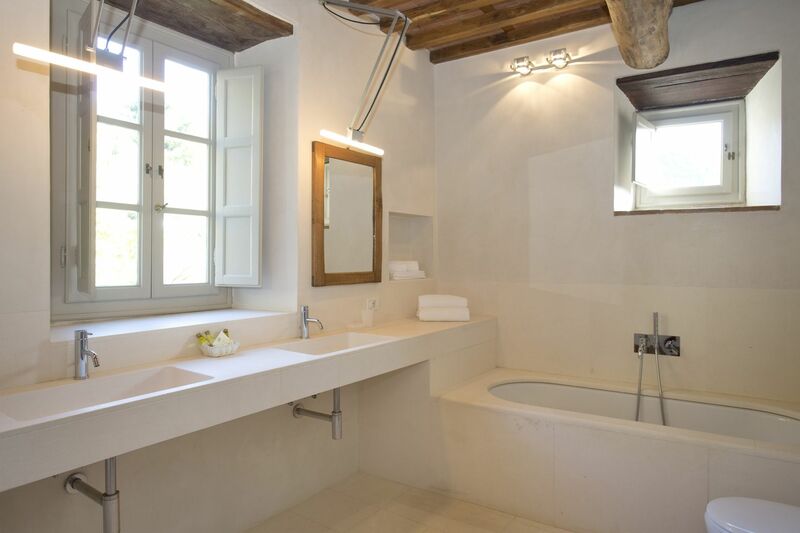 Suite compose of sitting room, double bedroom, bathroom (bathtub); suite compose of sitting room, twin bedroom (full size beds), bathroom (bathtub).